As of Release 2.0 this mechanism now offers the best balance of simplicity and low cost. This page describes how to get a commonly available FT232H based board, the Adafruit FT232H Breakout working with ROVATool. I have received several emails from people who have unsuccessfully tried to get this working with non-Adafruit branded FT232H boards. Just because it has the same chip, and is wired the same as I have demonstrated here, does not guarantee that it’s going to work. These boards have an EEPROM containing some data which is used by the FTDI driver to determine the capabilities and configuration of the board. ROVATool does not have any control over this, it simply requests the first available I2C channel. The exact implementation of that is determined entirely by your board and its own EEPROM. Some boards to not advertise I2C capability at all, while others do, but using different pinning to the Adafruit board. With the proper know-how – in the worst case using FTDI SDK to reprogram it, you will be able to fix it, however this is not a simple task, and I do not offer assistance in these cases. I personally recommend the V2.10 D2XX driver from FTDI, which is included in the package. Others should work, but, for example, with V2.12 – I have seen one minor issue. Although I’ve not personally verified them – other chips such as FT2232C, FT2232H and FT4232H should also work, provided they have the correct EEPROM configuration for I2C operation, and are wired correctly. 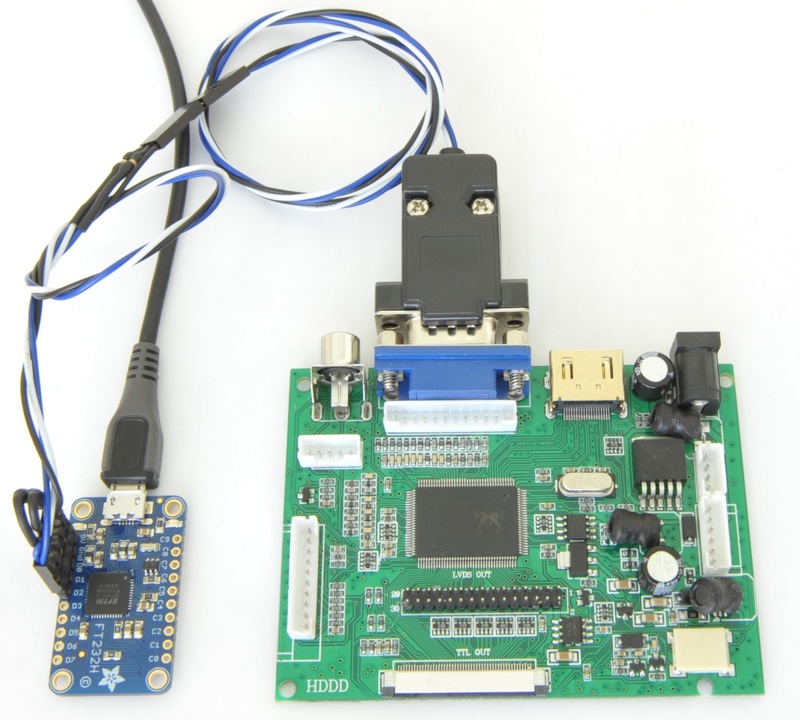 The MStar USB programmer (FT2232D) is also fully supported by this release. MStar Semiconductors’s basic USB Programmer. Can be used as “USB ISP Board” ??? Thanks for sharing your great work. I read your review about the Novatek NT68667 / EasyWriter, so I am hoping that I can pick your brain. I bought an M.NT68676.2A board from ebay, which was programmed for the wrong LCD panel and due to shipping cost I’m not all that existed to ship it back in order to get that corrected. I’m looking for a low cost solution to reprogram the board. Do you know If this can be used with the Novatek EasyWriter? Or alternatively, I have a logic analyzer based on the Cypress CY68013A that I can modify in according to the instructions that you posted, do you know if there is a relationship between NVT EasyUSB that is listed in the supported EasyWriter ISPs to the Cypress EZUSB-FX2? Do you solved the problem? I asked this because and I have this problem, and I need to reflash my M.NT68676.2 board. If you solved or not solved the problem please write back. Sorry for the late response, in case it’s too late for you then hopefully someone else will find this information useful. I tried building the VGA programmer as described on this site using an FTDI Breakout board based on the FT2232H, which is basically an FT232H with two channels. And it seemed to work to some degree as it could read the EDID off the NT68667 board using one of the tools from this site (it’s been a while since I’ve done this and I can’t remember which one), but the Novatek EasyWriter wasn’t able to recognize it as a programmer. I’ve also tried other programming applications without any success. Eventually I broke down and bought an RT809F from eBay that works well with Novatek EasyWriter. However, it won’t be a cost-effective solution if you don’t have any other uses for it. Yesterday I builded the LPT programmer, but don’t work. When I press the ISP ON button the “Enter ISP Fail!” error message appears. I will try reading the EDID with my LPT port programmer and post the results. Can you send for me your contact details? I don’t know a great deal about Novawriter but from memory, it has a configuration dialogue which sets how your parallel port adapter is wired. Did you try adjust that first? I ran the LPT port setup, I chose the ROWA. I measured with oscilloscope when I press the ISP ON button on SDA, SCL are signals . When you using the programmer which device you choiced? NVT Type I, NVT Type II, CHIMEI, LG, MYSON, ROWA, SAMSUNG, INNOLUX or user define? Have you find the hex binarie file ? can you post the link ? Only the FT232H is good for this. 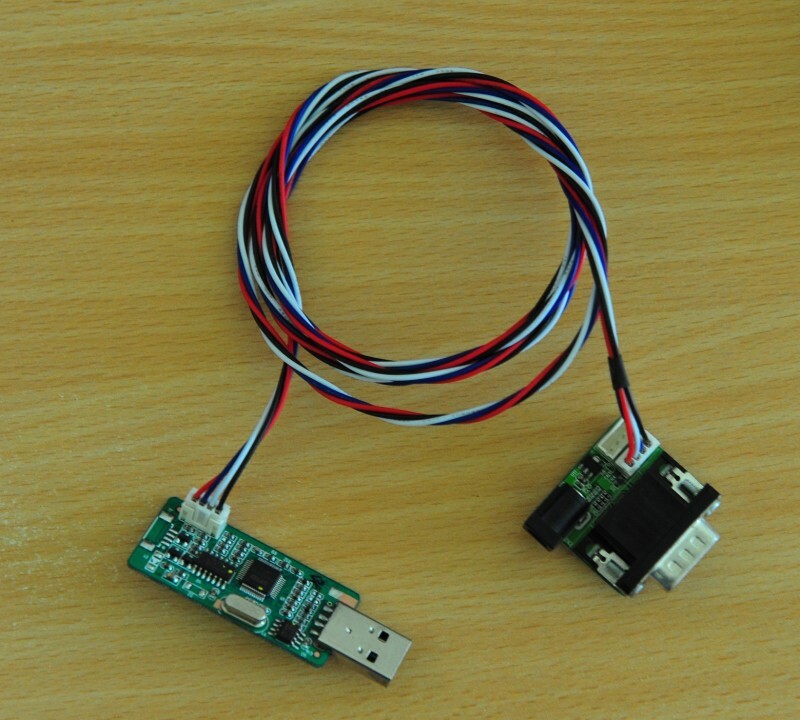 The FT232RL is only a USB-Serial converter, but the FT232H support I2C, FIFO, FT1248 and many other buses. Yes it would be possible to get it working with an Arduino, but quite an undertaking to implement and harden as a solution. I would definitely be happy to co-operate with someone who was prepared to implement something like this but I will not be doing it myself! 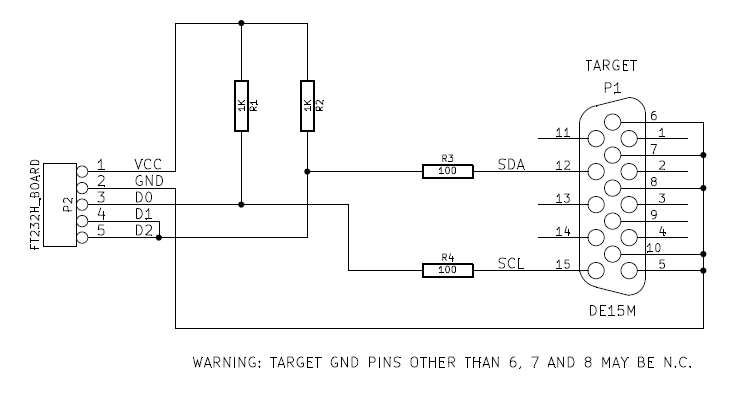 I would like to know if a mcp2221 by microchip is shitable for this, it is a usb to i2c and i would like to use the schematic at the top of this page. Good evening and thanks for this really useful tool! On the VGA socket, I have not connected pins 6 and 7 to ground, but I have checked that pins 6,7 and 8 are shorted, so my ground goes to pins 5, 8 and 10. Any ideas? I will try on a real windows machine as soon as I can get my hands on one, but somehome I don’t think it’s the VM. Found it. Dodgy power supply to the RTD. All works well, even on the VM. and connect d0 to pin 15 and you are good to go !! Strange. Definitely something different about your setup. I just wanted to say thankyou for your excellent resources – both your website, and your tools – for the reprogramming of the PCB800099 LCD drivers. I bought a couple from Ebay, and only powered them up after having made enclosures to fit- the seller had provided screens of a higher resolution than I was expecting! But the drivers were improperly configured. Thanks to your work, I have been able to find a BIN file that worked and now both are functioning perfectly. For your record, I was using an Adafruit FTDI-H board., without the 100 ohm resistors. I had ordered these boards from China, but at first they didn’t work with my display until I found the appropriate firmware (display was just black). My display is a 7″ LVDS 1280×800 display (HSD070PWW1) and now it works well. Thanks for taking the time to share this useful knowledge. Hi. I have a similar problem. I get a black screen and no image on the LCD. Mine is 1024×600. Where did you get the firmware please? I am also working on RTD2660 board with FT232H. Rova tools are not supported I2C then how can i program RTD with Rova tools.I am using D2XX drivers with I2C API provided by the FTDI website on ubuntu. But i d’not understand how can i use this. Thanks for sharing these amazing info here. I can successfully program my PCB00099 board using my FT232-based breakout and ROVATool. I’m a bit curious and I noticed something: The circuit given above is connected to RTD2660H (or RTD2662) chip through I2C (SDA and SCL pins on the VGA socket go directly to RTD’s SDA and SCL pins). But when I hit “Erase” or “Program”, ROVATool says that it detected the serial flash chip (e.g. W25Q80 from Winbond) on the PCB00099. So if I understood correctly, the hardware and ROVATool is used for burning the .bin file into the W25Q80 serial flash chip which is driven by RTD2660H. This means that RTD2660H does not have program memory, so the program execution is done by fetching every instruction from that serial flash chip. Am I correct? But I’ve no idea how it is performed. Because I think that a firmware should also be burnt into RTD266x because if not how does it know that it should execute the program from external flash? Suppose the RTD2660H (or RTD2662) chip on my PCB00099 is broken. If I replace it with a new chip, will it work? Do I need to flash the RTD chip (not external serial flash) as well? ROVATool does not directly communicate with the serial flash chip. It accesses a special function of the RTD to do this. The RTD has no internal flash or persisted state. As for your question about how execution works – a good question indeed. I have not ever seen any documentation on the RTD’s 8051 core, how exactly it loads/executes etc. But if you really want to know, go read about Cypress EZ-USB microcontrollers. Those are also 8051’s which can boot directly from SPI flash. I suspect that in principle, the RTD is a pretty close copy. Hi There! Thanks for the tool! hi , did you find any way ? Try other computer with windows 7. Hi , did you find any way for fix this error ? this tools sopported RTD1960 ?! Can you tell me what flash chip is fitted to this board? As for the message about the unsupported device. Z25D40 with that signature has been supported for quite some time now. Perhaps you downloaded an old version?